Two bedroom first floor flat with communal garden, allocated parking space and separate underground storage cellar. Opposite Charles Dickens museum and in a central Portsmouth location. This newly decorated stylish three bedroom maisonette is available now and wont be around for long! The property benefits from a kitchen diner and large lounge, upstairs you have the benefit of three double bedrooms and a family size bathroom. Situated in an ideal location in Gosport close the local schools and amenities and down a quiet cul-de-sac road this property is perfect for families or professionals, this property also benefits a communal garden. Please call us on 02392864555 to arrange a viewing today!!!! *** ONE BEDROOM STUDIO APARTMENT *** PRIVATE ENTRANCE *** SEPARATE KITCHEN *** CLOSE TO GUNWHARF QUAYS *** Pink Street are delighted to offer you this spacious ground floor flat available in Ramillies House, situated on Cross Street near Gunwharf Quays. The property has a stunning modern kitchen, with all white goods included, and a great sized living area which is fully furnished! Located close to Gunwharf Quays and great local transport links, this studio apartment won't be around for long!  Call Pink Street today to arrange a viewing! *** POPULAR LOCATION *** 2 BEDROOMS *** ALLOCATED PARKING *** PRIVATE GARDEN ***We are delighted to offer for rental, two bedroom apartment. This property is in excellent condition and ideal for a professional couple or sharers. This property has a private garden also the property comes with allocated parking and is only a short walk to Southampton University. Available early June, please call Pink street to arrange your viewing today!